Wow Air's discount offer is applicable till November 11, 2018. The travel period to avail Wow Air's discount offer on flight tickets is valid till March 2019. 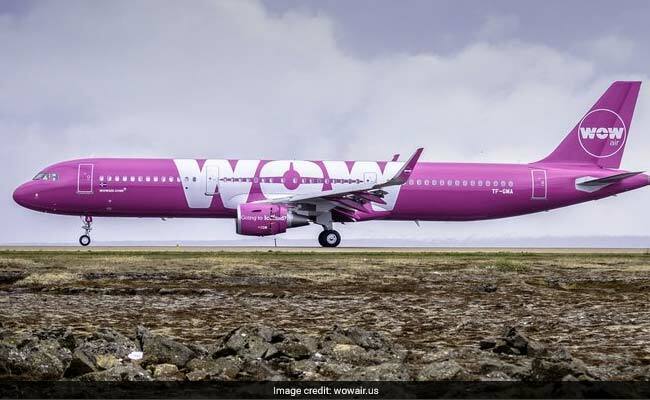 Wow Air, the Iceland-based airline, which is launching its India operations in December, has announced 30 per cent discount on all destinations, the carrier said on it's official Twitter account- @wow_air. Wow Air's discount offer is applicable till November 11, 2018. The travel period to avail Wow Air's discount offer on flight tickets is valid till March 2019. The promo code to avail the offer is WOWTREAT. The lowest fare is exclusive to MyWOW members, mentioned the airline on it's official website. Wow Air's discount offer is available on flights flying from Amsterdam (AMS), Brussels (BRU) and Frankfurt (FRA) to Boston (BOS), Chicago (ORD), Detroit (DTW), Iceland (KEF), Los Angeles (LAX), Montreal (YUL), Pittsburgh (PIT) and Toronto (YYZ) via Iceland. The offer is also applicable on flights flying from Boston (BOS), Chicago (ORD), Detroit (DTW), Los Angeles (LAX) and Pittsburgh (PIT) to Iceland (KEF). Discounted fares are also available on flights flying from Montreal (YUL) and Toronto (YYZ) to Iceland (KEF), Amsterdam (AMS), Brussels (BRU) and Frankfurt (FRA) via Iceland. The discounted prices are available for one-way WOW basic flights per person including taxes on booking round-trip flights online, noted the carrier. Booking fee is not included in the price. The offer is applicable to selected flights during the travel period and is subject to availability, said Wow Air. Jet Airways is offering up to 30 per cent discount on domestic and international flight tickets. Passengers can book one-way flights for as low as Rs. 1,998 for Mumbai-Kochi and Rs. 6,723 for Mumbai-Muscat. The offer ends on November 11, 2018. GoAir is offering flight tickets at a starting fare of Rs. 1,313. The booking period for GoAir's offer on flight tickets ends on November 18, 2018.